Widely considered as one of the top black bear destinations in North America, Manitoba continually emerges as a preferred choice for thousands of devoted bear hunters. 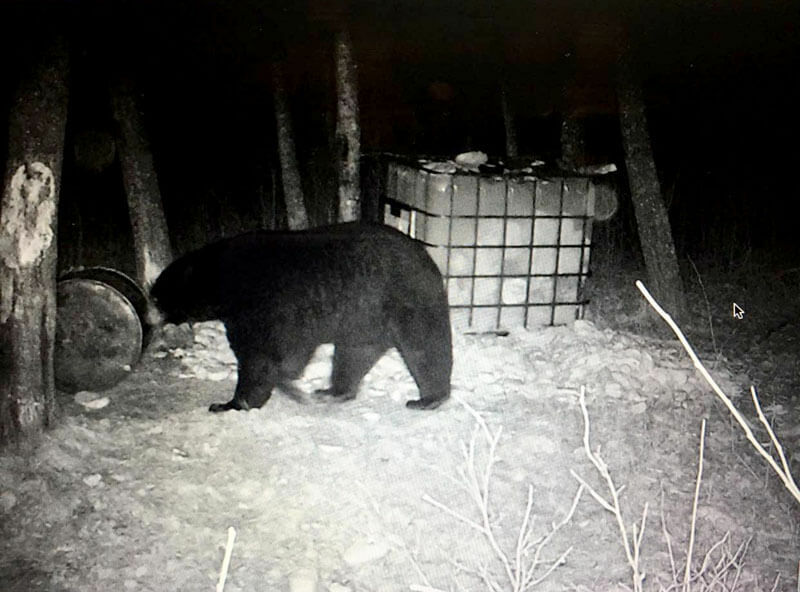 With dense populations throughout the majority of our provincial regions, Manitoba’s black bear offers vast hunting opportunities that equally caters to those seeking an easily accessible or ultra-remote hunting experience. Regardless of where you choose to pursue them, the black bears of Manitoba hold a long standing reputation for commonly attaining record dimensions and offering select opportunities for various sought after color phases. Getting to within a stone’s throw of a giant bruin is an adrenaline-filled encounter that would shake the knees of the most seasoned hunter. Sitting motionless while peering at a 400 plus pound bear that steadily closes to within 15 yards of your tree stand is an occurrence that’s nothing short of a staggering. The “up-close” nature of a black bear hunt exposes their daunting presence and an addictive component from an overwhelming rush that loyal bear hunters so frequently seek. They have a cunning ability to walk the forest floor as silent as a mouse, a temperament that will repeatedly test your patience and the talent to appear before you like an unexpected magic trick. The black bear will always keep you guessing! Black Bear hunts are popular in areas of the Northern, Parkland, Western, Interlake and Eastern Region. Depending on the Game Hunting Area (GHA), hunting season dates are primarily during the months of April through June and August through October. For more information on Game Hunting Areas (GHA’s), season dates, resident, non-resident & foreign resident Black Bear licenses or additional information on hunting in Manitoba, please visit the Manitoba Conservation website or refer to the current Manitoba Hunting Guide. Find us at the MN Deer Classic this Weekend!